What better to do on a Wednesday but escape to the outdoors for a morning’s hike? With a 180⁰ sweep across the open veld we could see wildebeest, zebra, impala and red hartebeest and as if that wasn’t enough, a black-backed jackal trotted across our path. Where was this – Kruger? Waterberg? Madikwe? .. no … out in the Cradle of Humankind a mere 40 minutes from Joburg . I played truant last week and snuck out (mid-week!) for a morning hike with the Johannesburg Hiking Club. I left Liz at Lancaster at 7.20 and, after passing a troop of vervet monkeys as I got into the Cradle area, under an hour later I drew into the gladed parking area to join the some 50 other hikers. Setting off from the property we walked out across the hills and open savannah terrain (where we saw most of the game including waterbuck). We climbed a small koppie (literally small head in Afrikaans meaning a rocky hillock). All we saw on the rocks were dassies and lizards, but it was a lovely outlook to sit and have our mid-morning snacks. This is hiking at a very leisurely pace! 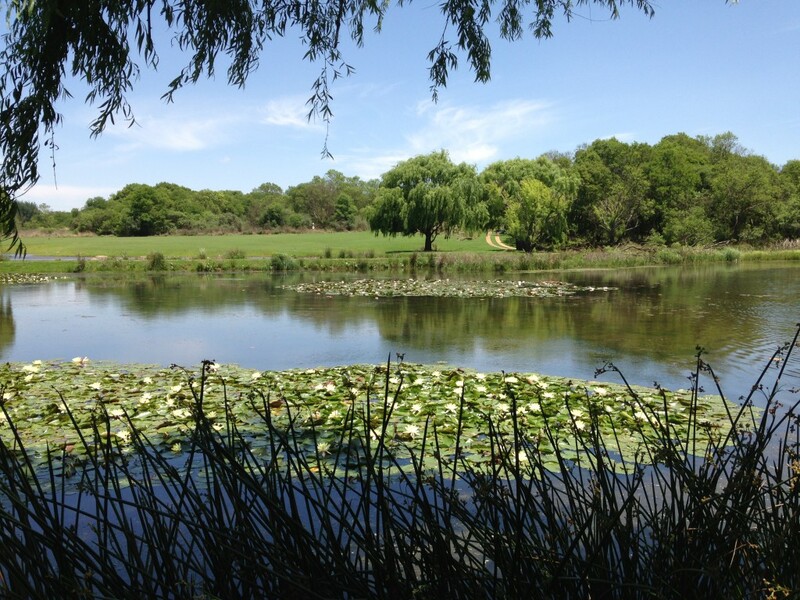 Then we looped back to cross crystal clear streams (this area used to be a trout farm) and amble alongside dams bedecked with water-lilies and along cool wooded paths on the edge of the Nirox sculpture park. So many of the hikers had said what a magnificent hike this was, but nothing could have prepared me for just how beautiful it was. What a privilege and treat to be able to do this. And all at R30 for members and R50 for non-members. 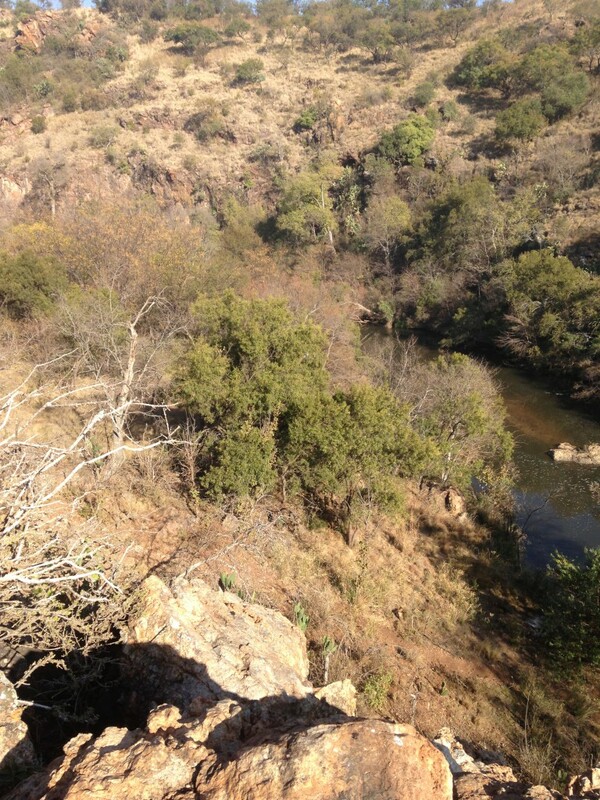 The Johannesburg Hiking Club has hikes close to Joburg every Wednesday morning (around 3 hours) . There are 3 levels – slow, medium and brisk and most mid-week hikers are retired. The Sunday hikes are longer and often further away. There are also monthly away week-end hikes.